Exactly this time last week, I was in a seminar room at a 5-star hotel in Penang, going through last minute preparations and chatting with colleagues and business associates. 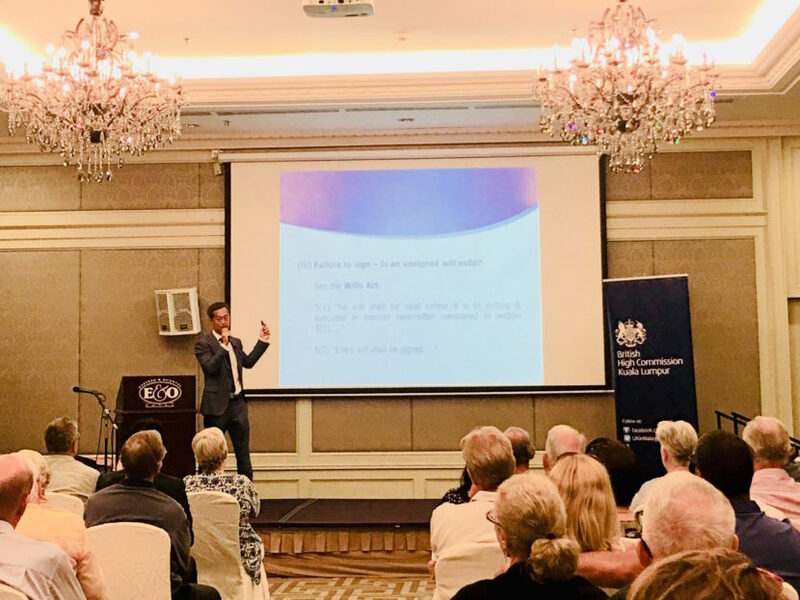 I presented a talk on wills and estate planning on behalf of the British High Commission exclusively for the sizeable British expatriates who have retired or relocated to Malaysia. These expats are in Malaysia mainly on a long stay visa called Malaysia My Second Home (more commonly known as MM2H). A few days later, I bumped into one of the attendees and she kindly complimented me on a job well done. But it was what she said later that truly struck a chord with me and prompted me to pen this blog. “You forced the audience to put their thinking caps on,” she remarked and added that Brits tend to procrastinate or see no urgency when it comes to estate planning. And here I was thinking that procrastination was purely a Malaysian affliction! That comment was particularly satisfying because it’s difficult for a speaker to give a large audience exactly what they want. Everyone has different needs with varying knowledge levels. If the speaker goes into too much depth on the topic, he risks losing the attention of some in the audience; while those with in-depth knowledge might be disappointed or bored. It would seem that many of us choose not to confront or even think about our mortality. And this fear transcends nationalities! My take on this is, instead of dreading the inevitable; I prefer to focus on our loved ones and leaving them in a better place when we depart. 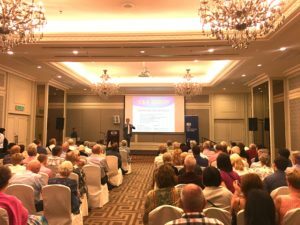 With that in mind and instead of lecturing the attendees on the substantive laws of succession, I shared examples of problems which cropped up frequently and cost our clients or their estate. Avoid a simple will. Taking the time to chat with your lawyer about your circumstances (as opposed to having a quick simple will just to tick the box) is worth more than its weight in gold. I do hope this discussion about death and wills doesn’t terrify but persuades you to put your thinking caps on and to be suitably prepared to confront your fears. I know I’ll be doing that when I surf the strong Indian Ocean swells later. PS. 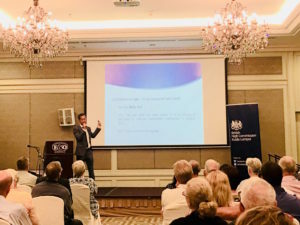 Just in case you are thinking of locating or retiring to Malaysia or have friends who are, some important topics were discussed at the seminar which was also graced by senior officers of the Malaysia My Second Home and the Immigration Department. Among the noteworthy subjects, the rumoured increase in the financial criteria for Malaysia My Second Home — this has been approved by the Malaysian cabinet and will take effect around the middle of the year. A formal announcement will be made soon. MM2H holders will not be permitted to work in Malaysia. All the above was conveyed verbally so I would advise that we await the official version in writing.